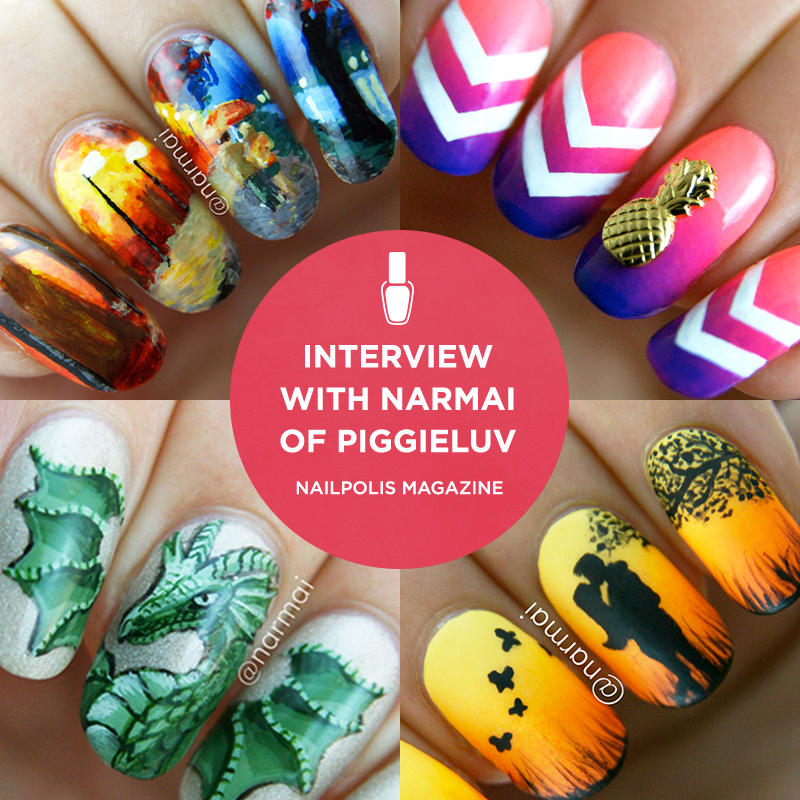 This week on Nailpolis Magazine, we’re bringing you an interview with Narmai of PiggieLuv! Narmai’s Nailpolis gallery is filled with freehand nail art inspiration, designs so detailed and painterly they’ll make your jaw drop! Narmai is currently 24 and living in a small town in the Netherlands. 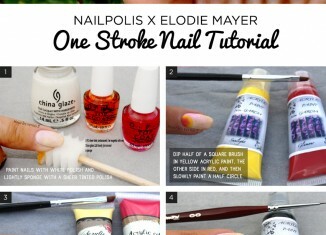 She writes on her blog and paints her nails almost 24/7! When she’s not painting her nails, she’s playing with her smart, funny, and lovable rats (she owns four of them)and also enjoys learning new languages. Read on to learn more about her life, tips, nail art tricks, and see a photo of her beautifully organized nail polish collection! 1. 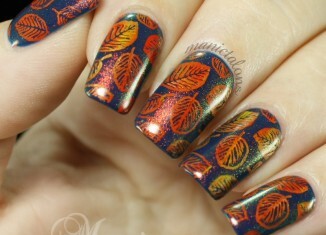 How did you first get into nail art? I got into nail art when I was doing an assignment in college for an amusement park. I had just gotten a polish from my mom that was the exact color of the logo, so that’s what I painted on my thumb! It was totally crappy, ofcourse, but I liked it and I started trying some more ideas. 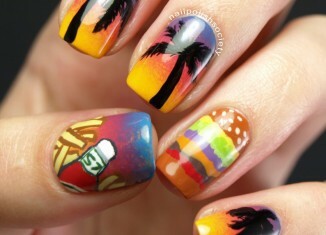 I didn’t even know it was called nail art! I’m not quite sure how I discovered blogs, but I rolled into it from there. I saw the beautiful things that other people were making and they made me want to do better and better! What I love the absolute most about nail art is how much confidence it brings me! It’s something that I’ve always struggled with, and still do. I never think my own work is good enough and it’s an amazing feeling when I post it anyways, and people love it! I really enjoy the jaw-drop effect. 2. Which one of your nail designs are you most proud of so far, and why? I think I’m most proud of the ones that were way above my skill level, and turned out right anyways. The ones that I never thought were possible, like the green dragon that I dreamed about, or my black&white butterfly from a while back. 3. 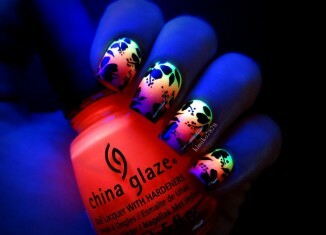 How do you usually come up with ideas for your nail art? Ha! Good question! I don’t always know, sometimes it just pops into my head. I have a jumbled up mind, stuff gets lost in there, but sometimes the right things get mixed into a cool idea. I also keep my eyes open everywhere I go, everything and anything can give you the right inspiration! 4. How many bottles of nail polish do you own? I have exactly 120 bottles of polish! I have them neatly listed in an Excel file… *blush blush* I organize my collection by color, and then all of the glow in the dark polishes go into a separate drawer to minimize exposure to light. I love my glow polishes so much! Only the drawers on the right side have my polish things, the ones on the left have.. other doo-dads! And I made the picture frames and the standing displays myself, I’m a fix-it girl. Buying polish isn’t really an option for me right now, you know, having no (paying) job. I’m very content with the ones I do have though, they’re my special babies <3 Oh man, I must sound like I’m nuts! 5. 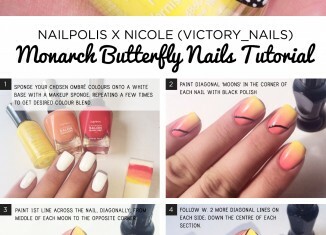 There are so many people who like nail art but don’t know where to get started! What are some nail art techniques that you would recommend to beginners? I’d say start out with the hand painted stuff. It offers the most options and it’s very easy to learn, you can have cute results very soon. 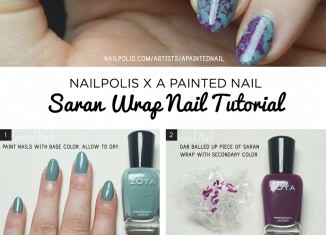 Also, the materials are very inexpensive so you can find out if nail art is something you enjoy! I started out painting with polish and an old craft brush, so it didn’t cost me anything extra. 6. What are your favorite nail art brushes to use? I also have a cheap nail art brush that I cut down to what seems like 5 bristles and this one works great for super thin straight lines. 7. 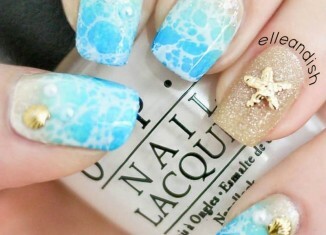 What are your top tips for taking good nail art photos? This is something I’ve struggled with for a long time. I’m a perfectionist and here in the Netherlands, daylight is a big problem during the winter. So I set up a lightbox and I’ve been tinkering with it on and off for the past year or so, trying to get it just right. I saw a big change in picture quality when I started using a DSLR. I actually just published a long article with tips regarding nail photography, because I know a lot of people have questions about it. 8. Who are your favorite nail artists and why? @lieve91 on Instagram, everything she does looks like it’s a sticker, so impeccable! 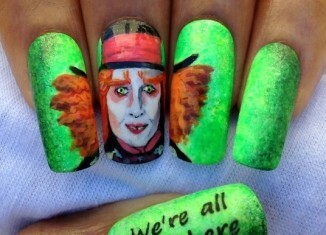 @andreitus_nails, because MAN… how many hours does she spend on those masterpieces!! also @cellness, @laynopaul and @gina_fang because these artists clearly have talent for the hand painted art and gorgeous, original ideas! 9. Tell us something about yourself that most people don’t know! Something most people don’t know… I used to play the harp when I was about 12. I’ve always had this thing with my nails, I wanted them to grow really long. I wasn’t allowed to grow my nails out when I played the harp! Oh and my thumb can bend backwards 90 degrees without trouble… It’s a hypermobility thing. We hope you enjoyed this interview and loved all of the beautiful nail art that accompanied it. A warm thank you to Narmai for making this interview possible! 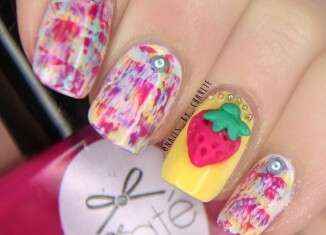 Don’t forget to visit Narmai at PiggieLuv.com and follow her nail art on Nailpolis! Loved reading more about Narmai. She is soo amazing and talented! !